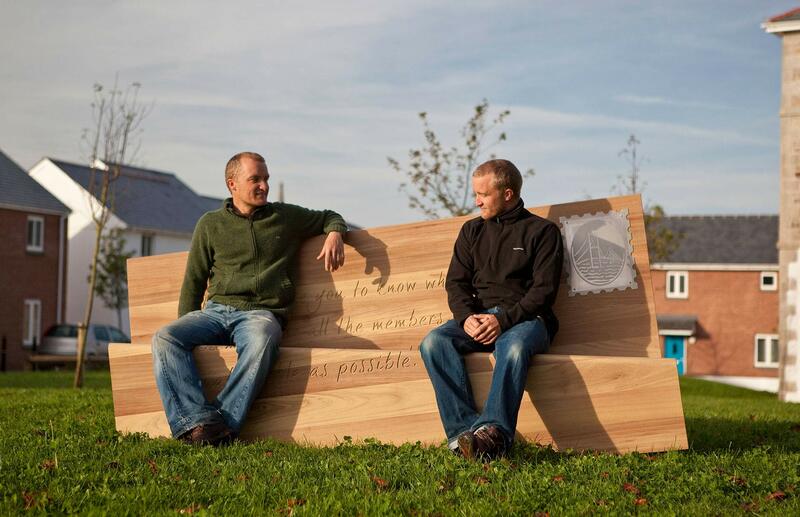 NHS commission to design a 4 seater bench at Frenchay Hospital, Bristol that is both art installation and practical seating. 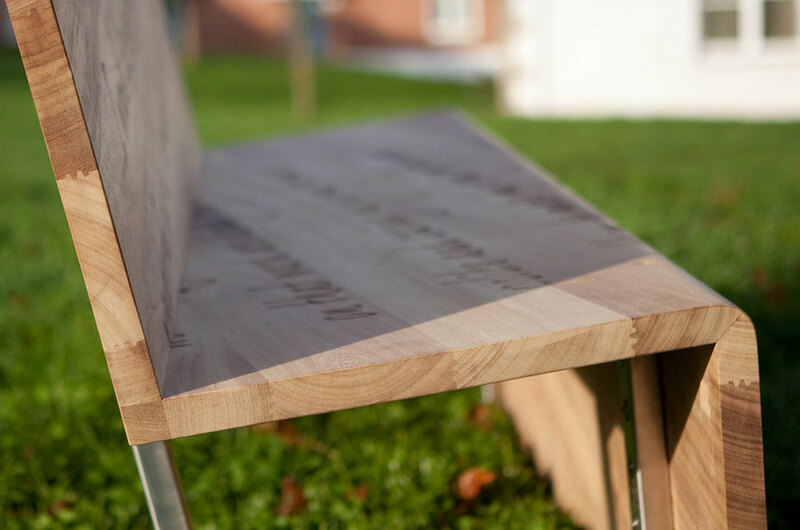 This project had to fulfill multiple criteria – not only did it have to be practical outdoor seating for up to 4 people, it also had be something that could be viewed and enjoyed as a piece of art and potentially reassure people about their visit to hospital. 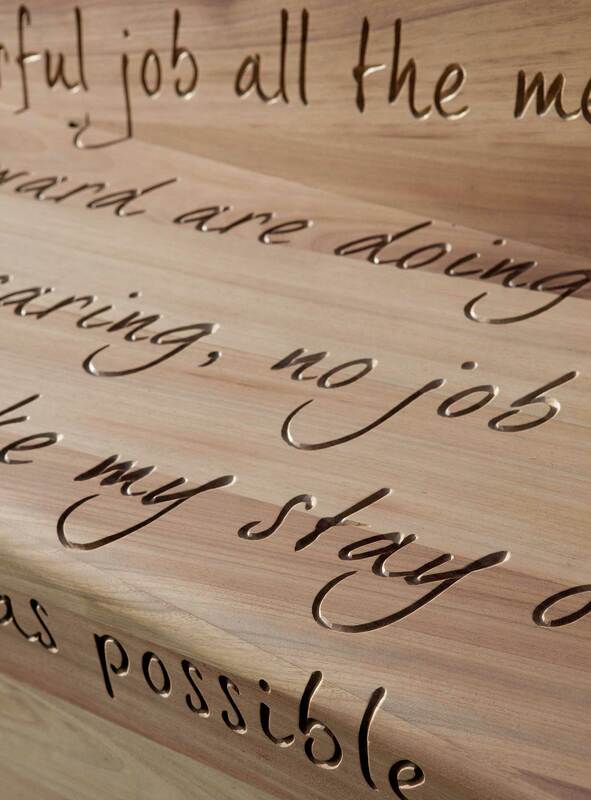 We considered how we could convey a positive and reassuring message for hospital visitors within this project and came up with the concept of using an actual thank you letter, received at the hospital, praising the care of the staff. 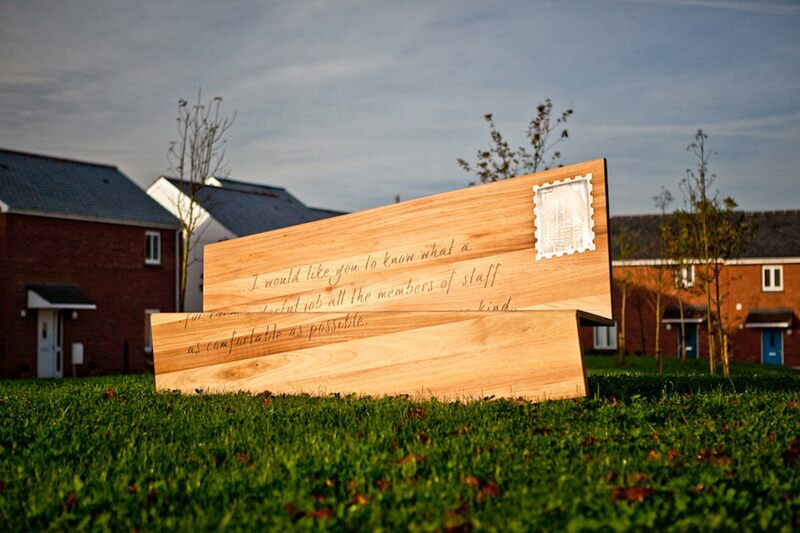 The bench, made of oak, is in the format of a folded postcard with the words of the letter hand carved into the wood. 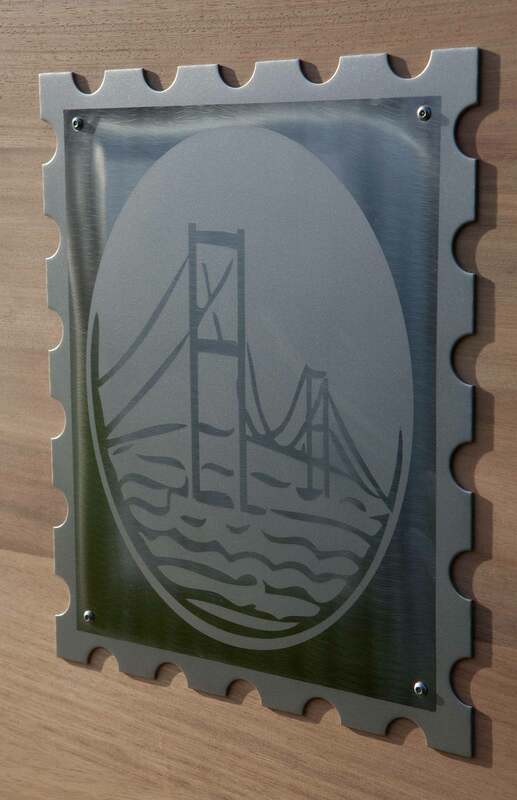 The stamp is made from stainless steel and etched to resemble an old fashioned nurse’s badge for the Bristol area. 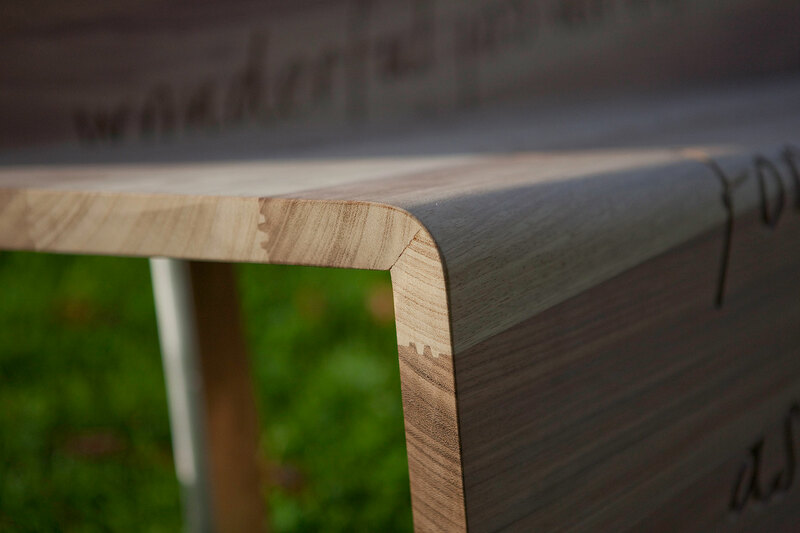 Finally, the bench had to withstand the elements so is supported by a robust stainless steel frame. 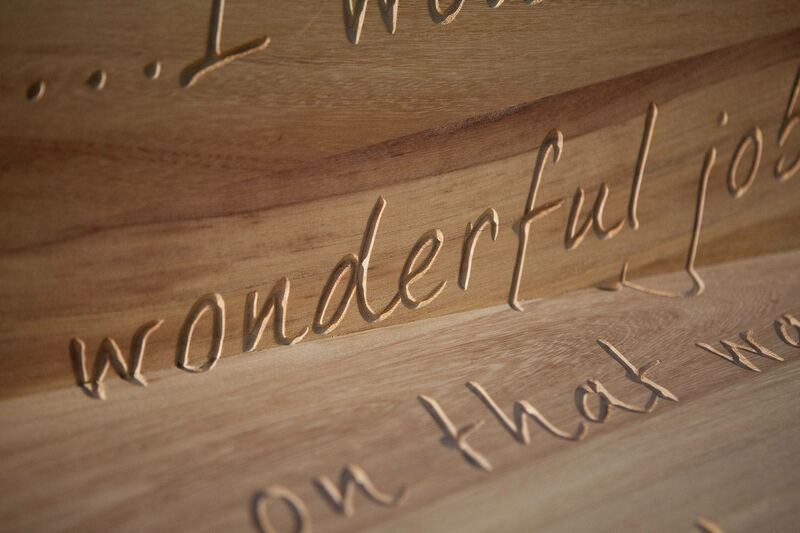 The choice of hand carved oak led to a very tactile product that visitors can admire, touch and enjoy as a resting place. 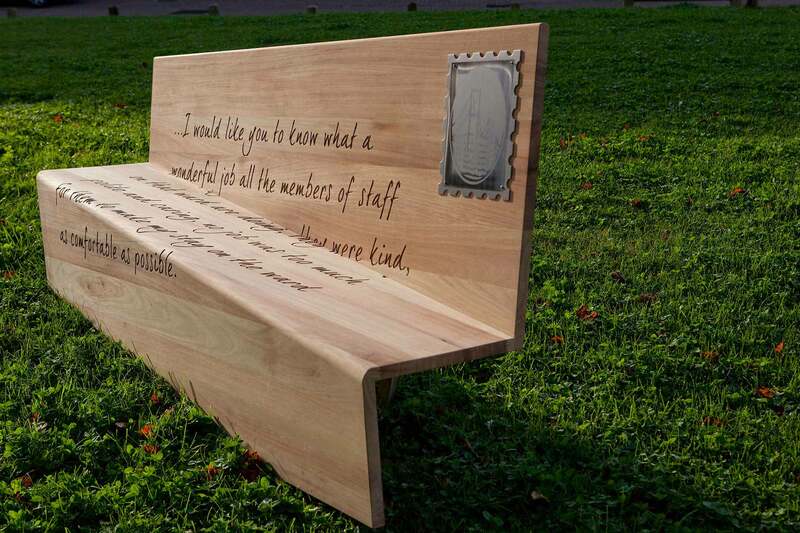 The genuine message is comforting for patients and, we realised, encouraging for staff reminding them of the positive contribution they make everyday. 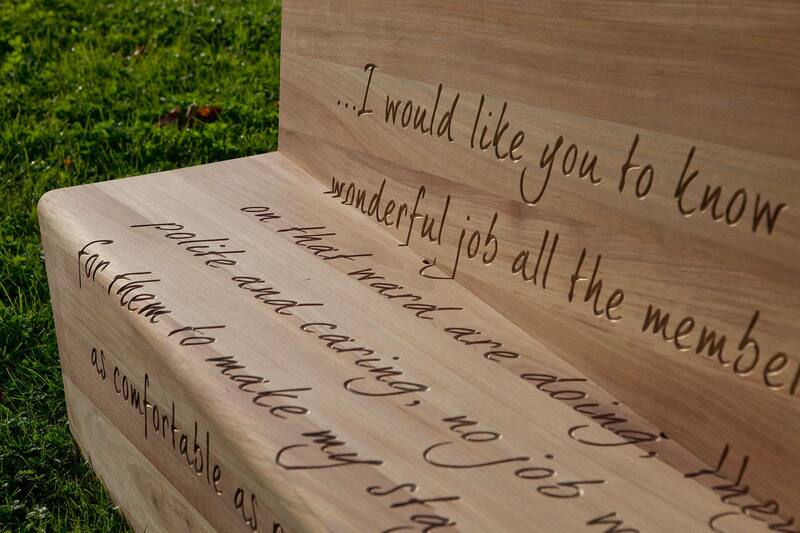 “A delightful example of the blend of creativity, content and humanity.” Jen.